The parish church in Mitford has had a long history. 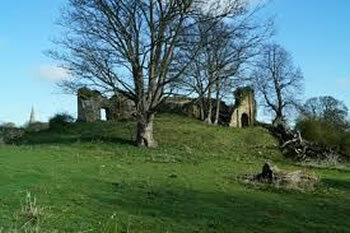 First mentioned in 1135, it is possible that there may previously have been a Saxon church on the same site. In 1216, the church was almost burned to the ground, following the signing – then revocation – of the Magna Carta. The church was later restored by William de Valence when the Norman priest’s door was retained, as well as the chancel, north and south transepts being added. Few written references are made of the church after this, but in 1705, a huge fire ravaged the roof and the church lay open to the elements for the next century, the congregation having to sit in the choir. By 1877 the church’s fortune changed, as Colonel John Philip Osbaldeston Mitford (squire of Mitford) used his own money (around £10,000) to undertake a complete rebuild. Since that time and over many years, further modernisation and upgrading has taken place, turning the church into the wonderful building it is today; it was designated a Grade 1 listed building in 1969. The superb stained glass windows are to be admired, as is one of the earliest bells in the country – cast no later than 1150 – which hangs in the main church. 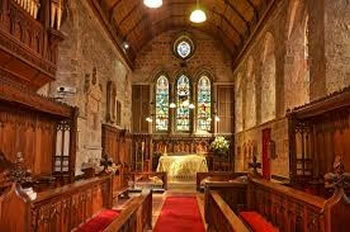 This ancient 12th century parish church is where worship has been expressed down through the centuries. Here at Mitford everyone is welcomed, respected, valued and loved and where the Gospel Jesus Christ is proclaimed not just in words but in how we live our daily lives. We want to grow in confidence in the way we worship God, and how we understand and share our faith. Whether your preference is for a reflective, traditional, service or for the latest songs led by our music group, whether you’re “just looking” or you’ve been a Christian for years, whether you are in need of spiritual guidance or encouragement, whether you are looking for fellowship, a regular discussion or study group, or junior church or a youth group for your children there is a congregation here looking forward to welcoming you and encouraging you to grow in faith and sharing the journey with us. The church of St Mary Magdalene is a diverse Christian community, with people of all ages, coming from a variety of walks of life. 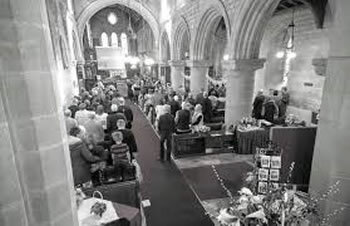 Worship plays a key role in the life of Mitford Church and the Ministry Team seek to provide forms of worship which sensitively reflects the needs and expectations of all those who attend. Forms of worship vary from the traditional Book of Common Prayer communion service,(unsung) every Sunday at 8.30am, and Evensong with organist and hymns at 5pm (on the 2nd and 4th Sundays in the month) to a much more informal, contemporary service with a music group accompanying singing at the 10.30am Family services. Children up to Middle School age (12yrs) leave the service to go out to Junior Church each week (Sunday School) and there’s a youth group for 9-13yrs on Sunday evening at Mitford Community Centre on Fontside at 6-7.30pm in term time. On the 3rd Sunday of each month we have either Café Church or Out of Church Sundays. Café Church usually meets in Fontside Community Centre at 10.30am. We offer real coffee and croissants for breakfast before we start. The ‘service’ is based around tables in small groups of 6-8 people of all ages, allowing everyone a chance to get to know each other better, spending time asking questions, discussing everyday themes from work or family life, seeing what difference it makes to have a Christian faith, where everyone’s opinion is listened to. There’s usually much laughter and yet also time for quiet reflection. Out of Church Sunday is an opportunity to meet or bring friends of any age to a very informal gathering on a Sunday morning which isn’t a church service, but is the people of the church enjoying being together socially. 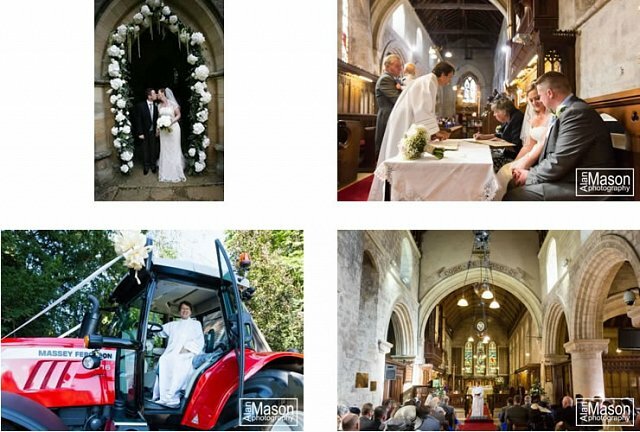 It meets, as it says, outside of the church building, often starting in the Stable Room, (single storey building between the church and the vicarage) but sometimes in the Fontside Community Centre or the Plough Inn with croissants, toast or bacon butties. Then there is a choice of activities: sometimes a local walk, a cycle ride for the more energetic, a craft activity, a scratch choir for those who just enjoy singing, a chance to read the Sunday papers and sit around and chat. We often meet up again for a simple lunch of bread and soup or sandwiches and fruit. We have midweek small groups that meet around Mitford and Morpeth, in people’s homes, or Bin 21 coffee lounge in Morpeth or in the Stable Room at Mitford in the daytime and in the evening. Please check our website for more details. For more details about the services or about the church and what is has to offer please visit www.mitfordchurch.org or come down and check the weekly notices pinned up in the porch with the new beautiful glass doors. If you have any questions or would like to arrange a christening or wedding, or would like to be buried in Mitford churchyard when the time comes don’t hesitate to get in touch and email us through the website.